Setting up raised beds for your garden is one of the most worthwhile projects you can do because of their many advantages. 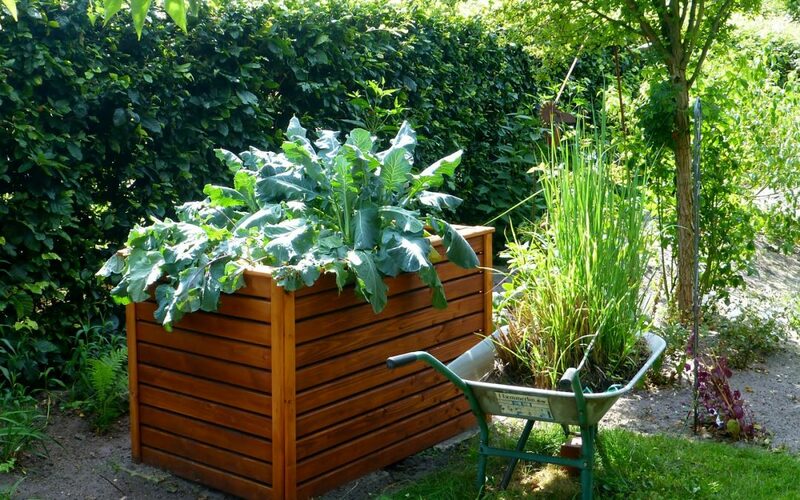 Raised beds are often found in the backgarden and help make gardening easier. If you have back problems and struggle to bend down to garden then raised beds are the answer. Since you can build the structure to a height that is comfortable for you, raised beds will allow gardeners with back conditions to still enjoy gardening. Even if you don’t have issues with your back, using raised beds can help prevent problems further down the line. But this isn’t the only benefit to raised bed gardening! Setting up raised beds allows you to control the quality of the soil and grow healthier plants. Planting row crops in the ground sometimes generate mediocre results since the plants have to compete with grass, other plants and bushes and with tree roots for the nutrients in the soil. However, plants grown in raised beds are more robust since they have less competition. If you want your plants to make full use of the nutrients available to them, you’ll need to prepare the best soil for raised beds to maximize growth. 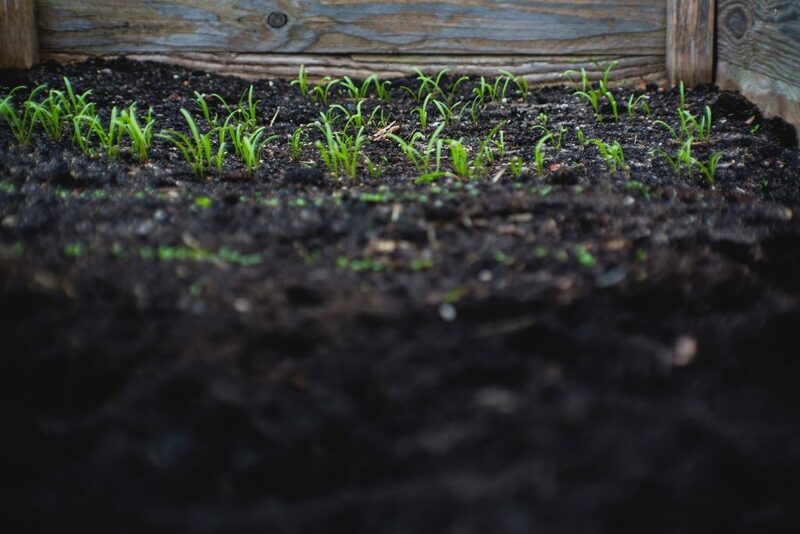 The type of soil required for your raised beds will depend on the type of vegetable plants or flowers you will be planting. The plants you decide to cultivate will need a particular kind of soil to grow to their full potential. Research the correct type of soil that specific plant would need and prepare it accordingly. First, you’ll need to know about soil types. There are four basic kinds of soil. The soil composition of the raised bed should be one or a mixture of these. Sandy soil has the largest particles among the different types of soil making it ideal for plants that need good drainage. This type of soil is commonly used for plants that are prone to root rot. 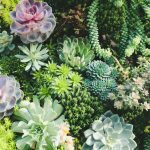 Since it doesn’t retain water, it is perfect to grow succulents or any kind of cactus. It is sometimes used as part of a garden soil mix to grow other plants. The opposite of sandy soil, clay soil has the tiniest particles of all the different types of soil. Because of that, clay is easily formed into a ball, meaning it is very compact. Clay soil easily retains water and nutrients for plants. Soil composed mostly of clay can do more harm than good since the compacted clay will block root growth. Use some clay soil to make the perfect garden soil mixture. Silty soil has medium-sized particles which are only slightly larger than those in clay soil. It is known to retain water quite well, and because of that, it is considered to be fertile soil. Since silt particles are almost the same size as clay, it is still prone to compacting. Be careful not to put too much pressure on silty soil else it will cause the soil to compact and block root growth. Loamy soil is a favourite of gardeners. Technically it is a mixture of sandy, clay and silty soils. Gardeners consider loamy soil to be the best soil for gardening and the best soil for raised beds as well. This kind of soil is usually full of microorganisms to help nourish your plants. Plants derive all the nutrition they need from the ground around them. For gardeners with raised beds, filling raised beds with only the best soil is a top priority. 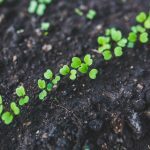 Experienced gardeners like to use soil improvement techniques to pack the soil with as many nutrients as possible. 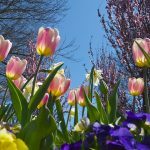 Most gardeners would choose loamy soil since it is considered to be the best soil for any form of gardening. The best soil for raised beds is usually a mix of loamy soil and different types of compost. This soil can also be used in window boxes and other planters. Keep in mind that the plants will be grown in the same raised bed until they are ready to harvest, so the soil really needs to be prepared to support the plant’s nutritional needs. You need to research the type of soil your plant needs. If the plant is found in your local area, then take a look at the soil under your feet. Using the soil from your garden as the topsoil for your raised bed could work provided that you add some soil amendments to it as well. The task of filling raised beds with soil is a lot of work. You would need to measure the depth, length and width of the raised beds. 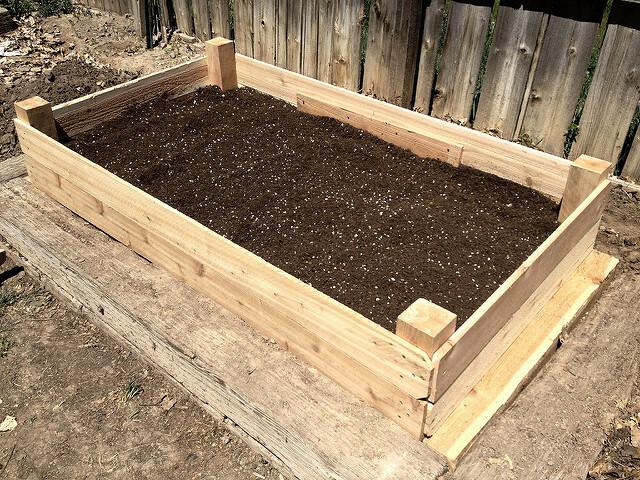 Take note of its size because you will need to obtain large quantities of soil to fill the raised beds adequately. Use the best soil you can get for your topsoil. Most home improvement stores or hardware shops sell top quality potting mix and compost. Buying the biggest bag will be more economical than buying several smaller bags, especially as it’s easy to underestimate how much soil you’ll need. There are several effective methods of filling raised beds and each option will provide the maximum nutrients to your plants. You will also need to buy or make some compost, it is the most essential ingredient needed when filling raised beds. Good compost is full of macronutrients that are known as NPK, N for Nitrogen, P for Phosphorus, K for Potassium. Compost is also full of other micronutrients, trace minerals and microorganisms that will nourish your plants. This technique of filling raised beds would require you fill the bottom half with compost the top half with top soil. To start, you would need to buy fertilizer or compost from the store. Or, better yet, you can try using worm compost, also known as vermicompost. You can buy compost in bulk at your local nurseries, they should be cheaper than the ones that are pre-bagged at the store. Fill the base with several inches of high-quality compost until you reach the halfway mark then fill the rest with topsoil. 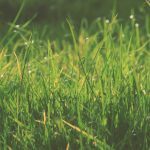 For the topsoil, you can use the soil in your garden, just add some homemade plant food, but you need to make sure that the topsoil is entirely free from any weeds. To be on the safe side, you can just go ahead and buy pre-bagged potting mix. This mixture is geared towards the maximum growth of your plants, so you won’t use traditional soil with this method. It will still look like soil, but your plants will be growing in the most nutrient-rich medium possible. Of course, you can change the mixture as you see fit. Using 50% compost and 25% peat moss and 25% vermiculite can work just as well. If you can’t get your hands on vermiculite, you can also use perlite or even Azomite. Mix these ingredients thoroughly then plant your seeds or seedlings, water them regularly and watch them quickly grow. This technique of filling raised beds works best on extra tall raised beds. Since buying potting mix and compost can be expensive the lasagna method is the most cost-effective technique for filling raised beds. If you don’t have much compost handy you can use compostable materials and layer them on top of each other. They will compost naturally over time, and your plants will have access to new compost right at their roots. If you are familiar with composting, it is all about mixing your greens and browns. Greens being the nitrogen-rich elements like coffee grounds, grass clippings, egg shells, vegetable and fruit scraps. It’s crucial you don’t add any meat or dairy products into this mix. The Browns would be the carbon-rich ingredients like untreated cardboard, paper, dried leaves, wood chips, straw and shredded bark. The lasagna method works just like composting, except this is on a much larger scale and you won’t need to mix the ingredients. You would only need to lay down a layer of a couple of inches of greens then on top of that add a second layer of browns. Make about four layers or so and top it off with untreated cardboard once you get within six inches of the top of the raised bed. Adding the cardboard will prevent your topsoil from sifting to the base of the bed too quickly. Finally, add the topsoil of your choice. Get to making the best soil for raised beds! Gardening using raised beds has many benefits, it can be beneficial for your back, it allows soil customisation, and easy plant growth. The best soil for raised beds depends on what you will be growing. Filling raised beds with soil with the proper nutritional content is essential. Choose among the three different options, half & half, premium and lasagna. Each option packs loads of nutrition, you just need to choose the one that fits your budget.